“An effective organizational structure, clear engagement tools and goals are key strategic elements for any successful multi-stakeholder initiative” adds Riccardo Giovannini, Partner of the EY’s Italian Climate Change and Sustainability team that will support the design and implementation of the MULTI-ACT stakeholder engagement policies and initiatives. “This will be instrumental in forging a common research agenda and best practices to share with research institutions in the EU and beyond,” says Frédéric Destrebecq, Executive Director of the European Brain Council (EBC), a MULTI-ACT project consortium partner. The Italian Multiple Sclerosis Society Foundation (FISM) is the leading funding agency of research in multiple sclerosis (MS) field in Italy and the third funding agency worldwide (after US and Canada MS Societies) to better understand the causes of the disease, to improve the quality of life of people with MS (PwMS) and to provide better treatments toward a definitive cure for a MS. The overall goal of the MS Society is to make the bridge walkable between PwMS and health care government agencies and thus to support people with MS in making decisions for their treatments and quality of life. Università degli Studi di Trento, UNITN, will be responsible for the coordination among academic partners. 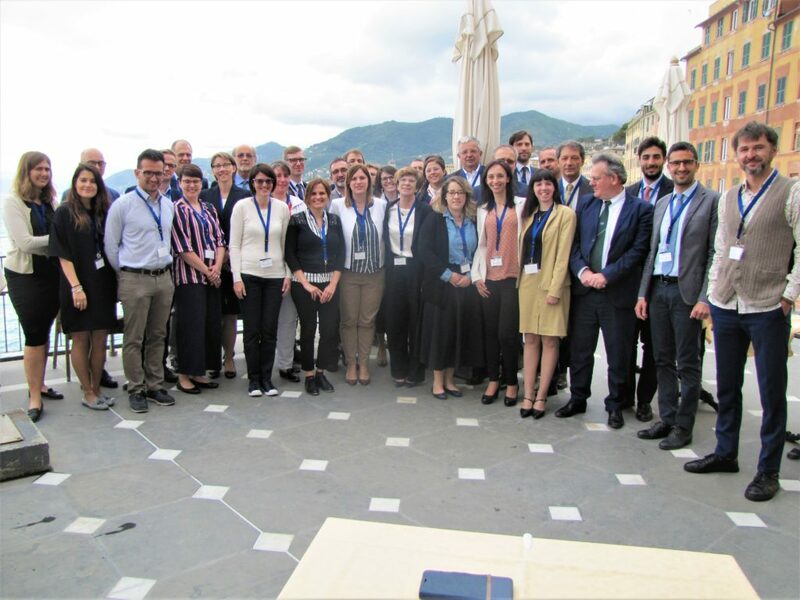 The Department of Economics and Management (DEM) of the University of Trento is the participating body in the MULTI-ACT Project. DEM features a multidisciplinary research environment where researchers apply a vast array of different approaches to describe the choice of economic agents, investigate their determinants, and analyze their effect at the individual, sectoral and aggregate level. Universidad de Burgos, UBU, a Spanish young, medium-sized university with the mission to contribute to a sustainable society through the pursuit of research at the highest international levels of excellence.in the area of the social and environmental accounting and organizational accountability and governance. Universidad de Burgos’ Research Results Transfer Office-Knowledge Transfer Office (RRTO-KTO) core mission is to support and promote the production and transfer of knowledge from the University to companies and other stakeholders. Tampereen Yliopisto, the University of Tampere, UTA, is a culturally-committed higher education institution with the social mission of educating visionaries who understand the world and are able to change it towards the better. Its research activities address key issues in contemporary society, and its nationally recognized areas of strength are society. The European Brain Council, EBC, a non-profit organization aiming to promote brain research in Europe, improve treatment, care and quality of life of people living with brain disorders. The EBC stimulates dialogue between scientists, society and all interested parties by promoting collaboration of member organizations with the European Commission, the European Parliament and other relevant EU and international institutions. INTRASOFT International S.A., INTRA, is a leading European IT Solutions and Services Group with strong international presence, offering innovative and added-value solutions of the highest quality to a wide range of international and national public and private organizations. It has proven expertise in conceptual system architecture and system design, advanced application development and integration services, information portal management and communication services, and project management. European Health Management Association, EHMA, a Belgium based non-profit membership organisation that focusses on enhancing the capacity and capability of health management to deliver high quality healthcare. EHMA operates at an international, European and national level, with a Membership of over 80 organisations and individuals and a broader network in excess of 5,000. Its activities revolve around three key work streams: membership-focused actions and network engagement; research and EU project work focused on dissemination and stakeholder engagement; and events and workshops, such as our EHMA Annual Conference or our Yearly Programme Directors’ Group Meeting. Fondation Aide à la recherche sur la Sclérose en plaques, ARSEP is the leading funding agency of research in Multiple Sclerosis (MS) field in France. ARSEP, taking advantage from its international network, including the International MS Federation (MSIF) and the Progressive MS Alliance (PMSA), will have the role to enable patient reported dimension throughout then proposal and to communicate/disseminate scientific results to people with Multiple Sclerosis, families, friends, and caregivers. Dane-i-Analizy.pl Sp. z o.o., DiA, is a company developed by the Jagiellonian University academics. It focuses mainly on health care sector, dealing mostly with data analysis, producing analysis and reports on data presentation and innovation, providing modern solutions for public administration. Universidade Catolica Portugesa, UCP, is an autonomous higher research and education institution in Portugal. The Católica Lisbon School of Business & Economics at UCP is an internationally recognized center of research excellence in management and economics and the leading Business School in Portugal since 2008.